Originally the home of Kapitan Chung Keng Kwee, leader of Penang and Perak Hai San groups in the Larut Wars from 1860-1884. The mansion is a typical representation of the Straits eclectic style of architecture highly favoured by rich Peranakan families of old. 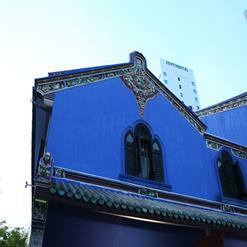 Affectionally called Hai Kee Chan or Sea Remembrance Store, it served as his residence and office.